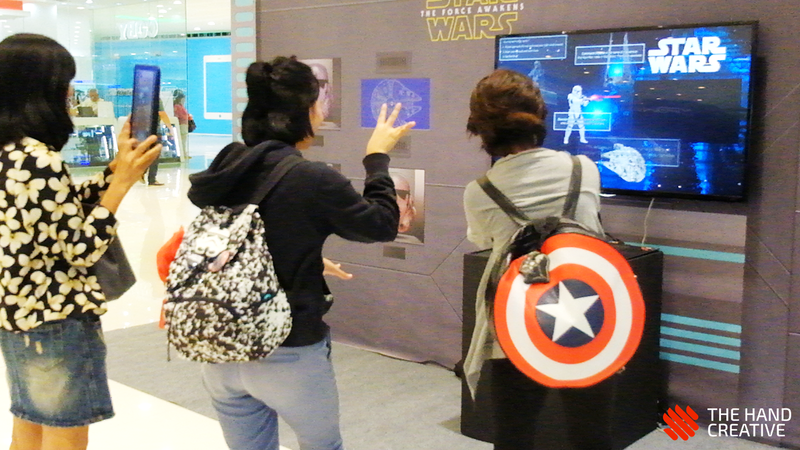 To inform mall goers about the movie Star Wars: The Force Awakens, SM Cyberzone and The Hand Creative created an Interactive Hologram and Info Wall. The installation gathered attention by using a hologram effect applied to the users. 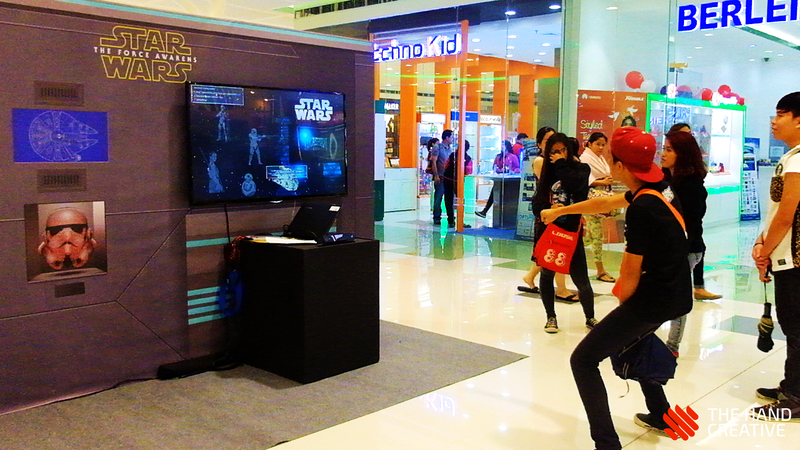 Once a person is detected by the Kinect, the installation displays the user on the screen as a Star Wars hologram with “Force” glowing light effects on both hands of the user. 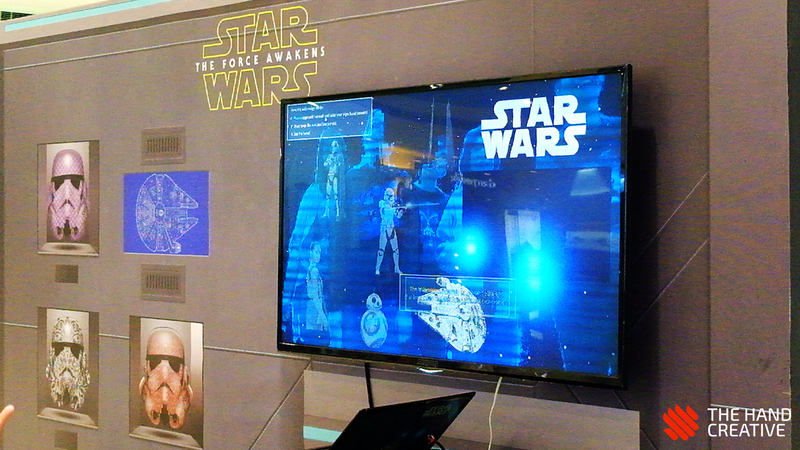 To provide information about the movie, we created an interactive mural showing various trivia about important characters and artifacts in the Star Wars universe. 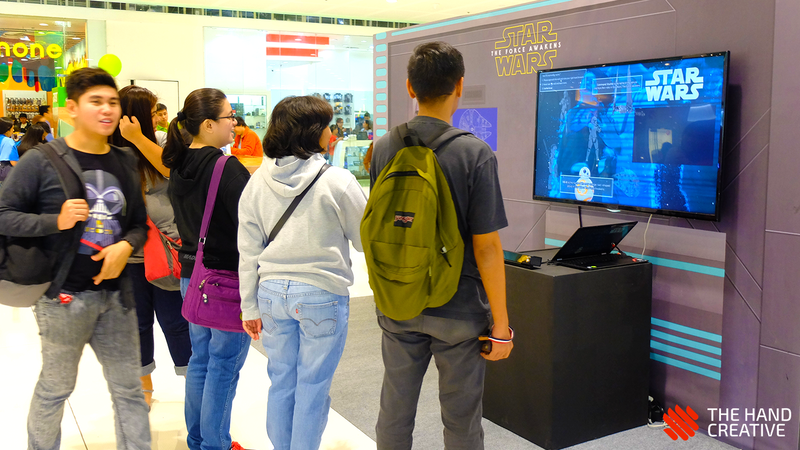 By hovering the user’s hands over the different Star Wars characters, information about the character or item will appear on screen. 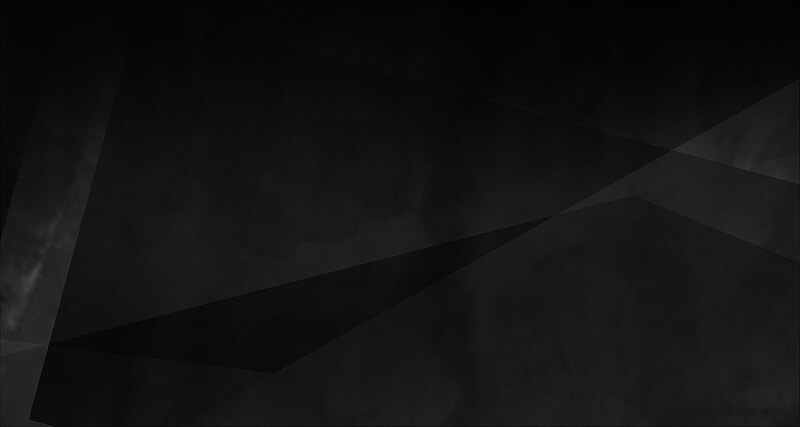 In a addition to that, the users can also play the trailer of the movie on the right side of the screen.